Sunday, May 20 in Marina, CA @ 12:30pm. Monday, May 21 in Pacific Grove, CA @ 4:00pm. 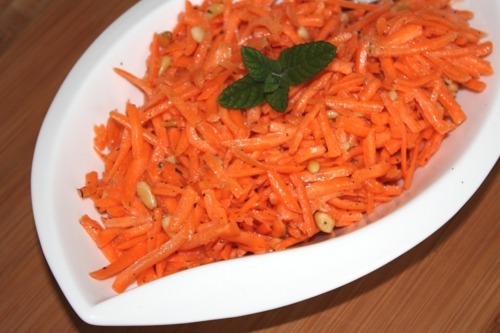 We’re making Carrot & Toasted Pine Nut Salad. We’ll whip up an olive oil and fresh lemon juice dressing that makes this simple salad shine.